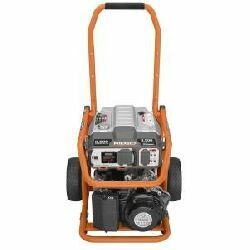 We have several generators to choose from, and we can get more if you need them! Our 4000 Watt unit will power one to two blowers, which is what most inflatables require. Our 6800 Watt unit will power three to four blowers. Both come with gas for 6 hour use.